Jeremiah Ieremia is a 6’1” 231 lb. 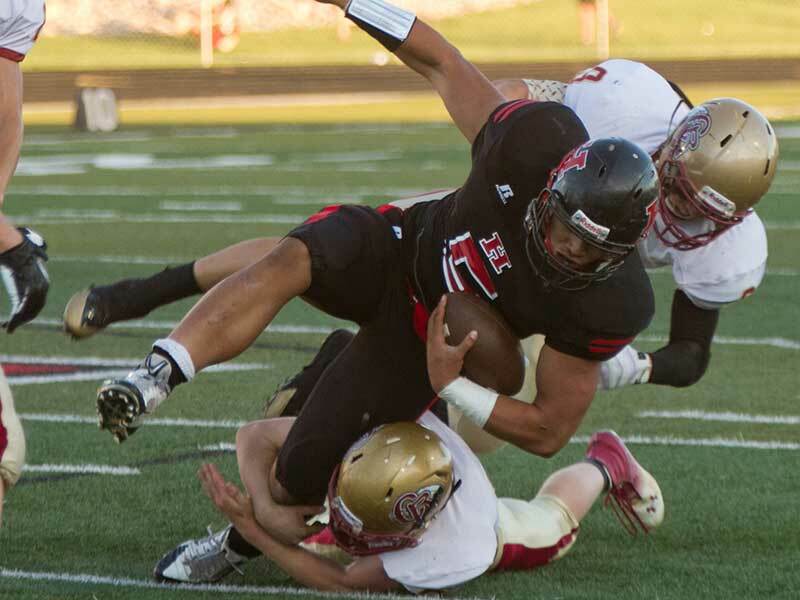 middle linebacker committed to BYU’s football Class of 2015 (9/29/14). He has accepted an LDS mission call to Botswana/Namibia South Africa (reporting 11/26/15) and will rejoin the team in spring 2018. 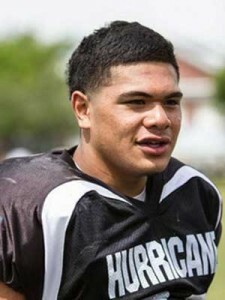 Ieremia prepped at Hurricane High School, where he recorded 101 tackles and an interception during his senior season, playing a key role in Hurricane’s run to the Utah 3AA State Championship. He also played running back and recorded 160 carries for 835 yards and 16 TDs his senior season as well as 7 receptions for 139 yards and a TD. For his high school career Ieremia had 300 rushes for 1573 yards and 28 TDs, 13 receptions for 190 yards and 1 TD, 173 total tackles, 2.5 sacks, and 2 interceptions. He was named to the Deseret News and Salt Lake Tribune 3AA All-State first team, Deseret News South All-Region first team, and was MVP of all linebackers at the Oakland Nike Football training camp and of the All-Poly camp in Layton, Utah. Ieremia also played on the Tiger’s basketball team. Little late but I’ve decided to make a verbal commitment to BYU this morning. Go cougars!! Name was rated 3-stars by Rivals, Scout, and ESPN (grade of 75) who ranked him the #15 recruit in the state of Utah. Scout ranked in the No. 2 MLB in Utah and No. 7 in the West. 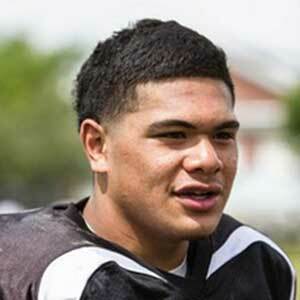 He was given scholarship offers by BYU, Boise State, Hawaii, Oregon State, USU, and Washington. He was also recruited by Colorado, Louisville, and USC. Last Team: Hurricane HT/WT: 6’1”, 231 lbs.